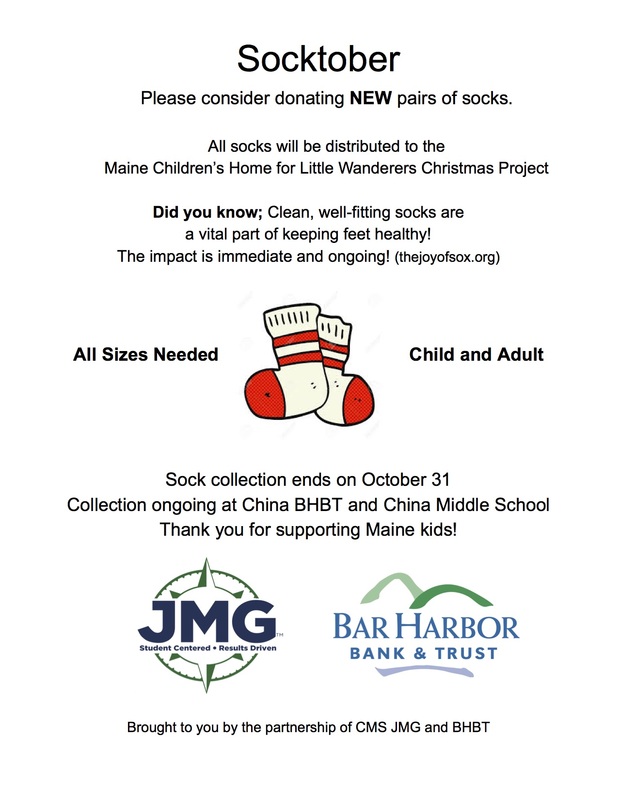 JMG and Bar Harbor Bank and Trust are partnering again this year for Socktober. We are collecting NEW pairs of socks that will support the Maine Children’s Home Christmas Project. Socks are being collected at BHBT in China and at CMS. A box is set up near the main entrance. Thanks for your support!